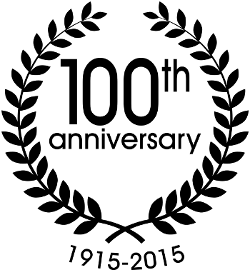 We've been doing some of the highest quality work in Illinois for over 100 years. We strive to be the best! Strategically placed locations give us the ability to gear up and head to your job site easily and efficiently. We provide a complete list of Services. No job is too big or too small. If you need it done, we can do it! Peter Baker & Son Company was founded in 1915 in Lake Forest, Illinois. In the early 1950’s we moved to Lake Bluff, Illinois, the present location of our corporate headquarters. Peter Baker & Son Company specializes in the production and installation of Bituminous Asphalt Materials for both public and private markets. We work for many public agencies including The Illinois State Toll Highway Authority, IDOT, various counties (Lake, McHenry, Cook, Kane and Boone), numerous villages and townships. We also have work in the private market as well, constructing parking lots, bike paths and roadways. At Peter Baker & Son Company, quality is always Job #1! Give us a call now and put in an order!